The first edition of this successful text considered nonlinear geometrical behavior and nonlinear hyperelastic materials, and the numerics needed to model such phenomena. 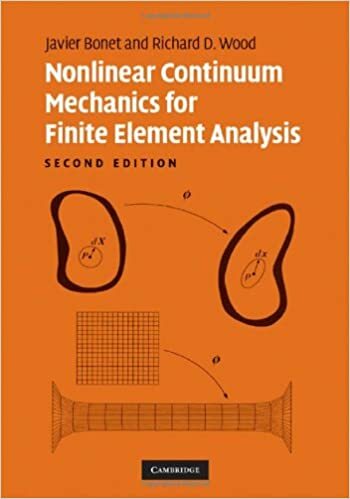 By presenting both nonlinear continuum analysis and associated finite element techniques in one, Bonet and Wood provide, in the new edition of this successful text, a complete, clear, and unified treatment of these important subjects. New chapters dealing with hyperelastic plastic behavior are included, and the authors have thoroughly updated the FLagSHyP program, freely accessible at www.flagshyp.com.